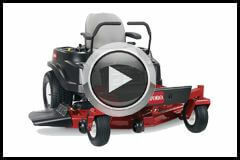 This Toro TimeCutter with a 50" fabricated cutting deck comes in at a lower price point then its counter part due to the removal of some luxury features such as the foot assisted deck lift and better seat. 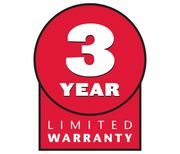 It still maintains the highest quality working components ensuring its built to perform exactly like a durable machine should. This machine is ideal for 3 acres coming equipped with a strong 50" cutting deck made of 10 gauge steel with a bull-nose bumper and convenient wash out ports. 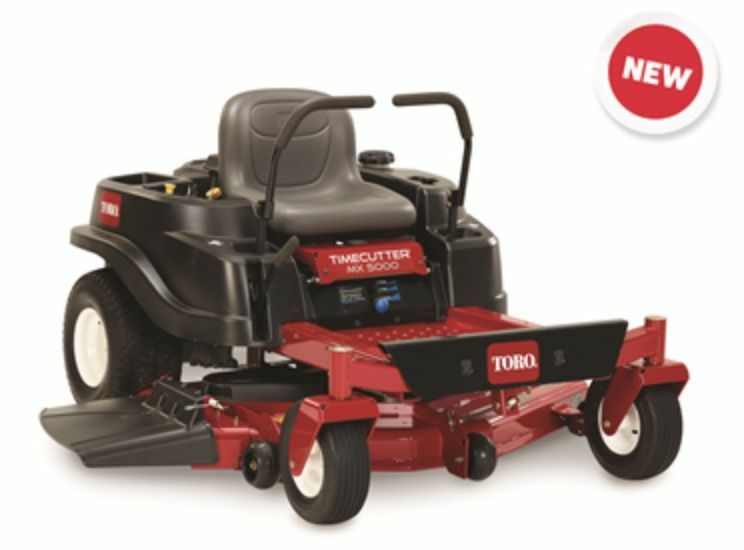 The 24.5Hp V-Twin Toro engine also gives the mower plenty of power to cut your property and most importantly it is extremely reliabile. The benefit of buy a product with a Toro engine also ensures that the company has full control of spare parts meaning they are easy to come by and readily available. 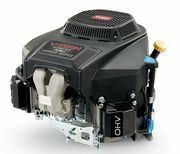 Toros new 22.5hp V-Twin engine providing quality performance in speed and ability. The engine features a patent pending self cleaning air filtration system to keep dirt for getting to the air filter ensuring an engine thats efficient and designed to increase the longevity of the engine. Larger hydrostatic transmission ensuring that these mowers have enough power to move these bigger machines around your property. These larger tires provide better traction to you without tearing up your backyard.